Now that the trailer of Rajamouli’s Baahubali 2 is finally out, the focus of the audience has automatically shifted to Katamaruyudu. As the team will be holding the pre-release event of the film tomorrow, there is a superb craze as Pawan will be seen on film based public platform after a very long time. Preparations are on in full swing and the makers are also planning to celebrate the 20 years completion of Pawan in films. 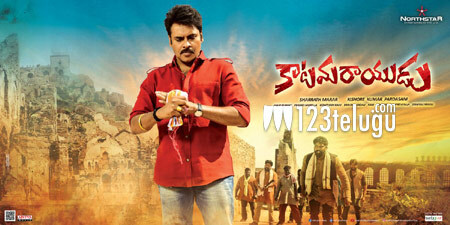 A huge crowd is expected at the Shilpa Kala Vedika where Pawan and the entire team will be attending the event. Directed by Dolly, Katamaruyudu has Shruthi Haasan as the female lead.